COPYRIGHT, HELEN S. FLETCHER, 2013. ALL RIGHTS RESERVED. ALL PHOTOS BY T. MIKE FLETCHER, UNLESS OTHERWISE NOTED. 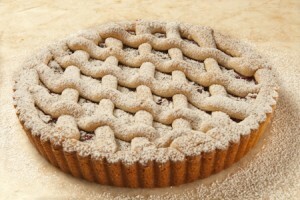 Finished Tart with powdered sugar. 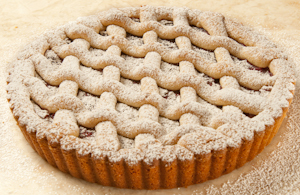 This entry was posted in Front Page and tagged cranberries, cranberry, Dessert, lattice, linzer, nuts, pastry, tart on August 5, 2012 by hfletcher. 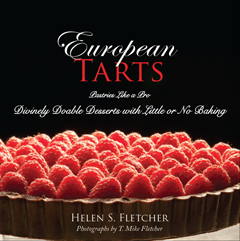 Helen Fletcher is the author of "European Tarts, Divinely Doable Desserts with Little or No Baking" and a blogger on The Ardent Cook. 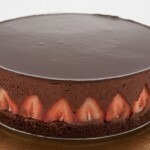 If you have any questions or comments, please find me over on pastrieslikeapro.com! 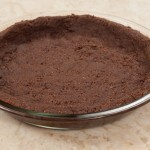 Helen posts recipes, food advice, and kitchen ideas on The Ardent Cook. 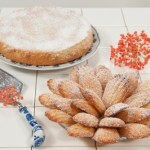 Kitchen Parade: "Helen is whirlwind of energy – and cake! 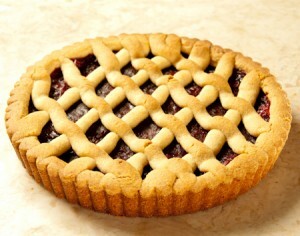 and tarts!" To purchase an autographed copy of European Tarts, click here. 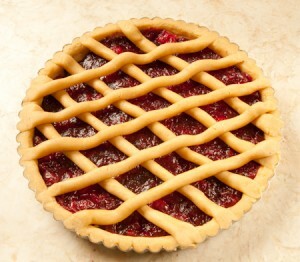 My name is Helen Fletcher and I would like to welcome you to European Tarts! Subscribe to the e-mail mailing list! Click here for a sample recipe!